When Stacey Schewaga shared her win at this week’s Motivate Monday, everyone wanted to see the impact report that raised over $10,000…with no ask. Your wish is my command. This week’s What’s in my Mailbox. How did one arts organisation take on the Trump Administration head-on? This week’s What’s in my Inbox. And, from Mary Cahalane: How to share the value of art. You have no dramatic stories to tell? You’re looking at it wrong! New from Jeff Brooks. 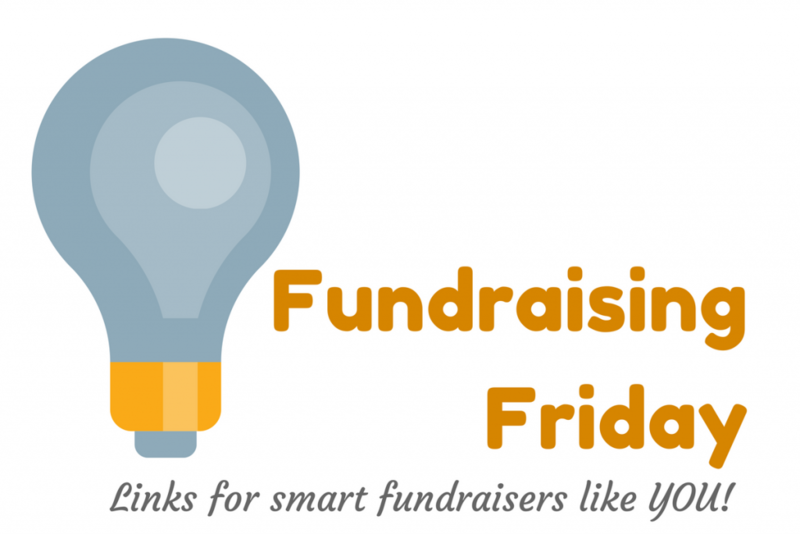 What, IMO, are two of the most important qualities of a great fundraiser? Persistence and…curiosity. Be Curious or Die! New from the Veritus Group. Who cares about admin? Ten nuggets on how the public think their ideal charity should spend its money. Monthly giving is the holy grail of fundraising. But having your back-end systems in place is crucial. What’s the best way to handle expired or declined credit card gifts? A few years ago one of my credit cards was hacked. Consequently, several monthly gifts fell by the wayside. I was surprised when none of the organisations followed through. Except one. Read more. Online giving remains less than 10% of total fundraising as we approach 20 years since the first online donation. Yes, it’s true. Direct mail fundraising is still a workhorse if you’re using it right. And now, just in time for your spring campaign, we’re offering Your Spring Fundraising Appeal | Basics & More™. This class goes beyond merely writing a letter. We’ll also cover segmentation, design, creating your package on a budget, working with printers, integration, and so much more. The doors to enrollment close tomorrow. (Note: If you are a Basics & More All Access Ticket holder OR a Simple Development Systems member, this class is included at no extra charge). Could your organisation’s thank you letter use a makeover? Plan to join us for our next Motivate Monday, when I’ll share best practices for your thank you letter. Save your seat here. And join us on Monday at 1:00 pm EST. Previous post: What’s in my Mailbox | This Impact Report raised over $10,000 – without an ask!